A blue-collar kid from Council Bluffs, IA, Craig grew up around auto service stations and race tracks. He grew up in a family that raced lots of things, his family was in the service station business and their passion was racing. 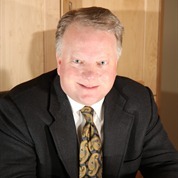 Craig started with lots of smaller injury cases and helped with the firm’s railroad-employee injury practice. It was a railroad case not involving an employee though, that brought the firm it’s largest settlement and made Craig a partner, and Inserra & Kelley was born. He enjoys riding on his Harley Street Glide, bicycling with the Dundee Chain Gang, frequenting live music/concerts, watching the sports of his alma maters and being involved with his Saint Margaret Mary parish events, as well as serving on many non-profit and charitable boards around the metro.